If the international community wants to do something useful in Syria, it could assist an orderly population separation into ethnic nation states. A massive population separation is already underway; Kurds are fencing off their northeastern corner of the (erstwhile?) Syrian state, Alawites are fleeing to their historic coastal province, Armenians are fleeing to Armenia, the Druze have a refuge in Jabal Druze, but Syria’s one and a half million Christians are caught between a rock and a hard place. The rock is the grim prospects for Christian life under either a Sunni or an Islamist regime. The hard place is Lebanon. Armenia recognizes a Right of Return for Armenians because it anticipated situations like the Syria civil war. The Armenian refugees from Syria will have citizenship, but they will have little else. Syria in 2012 is a minor ethnic refugee crisis compared to millions of ethnic refugees created by the 1948 partition of India, to name just one example But, like almost all earlier victims of ethnic cleansing, the Christians fleeing Syria will get no compensation for the homes, farms, and businesses they will be forced to leave behind. The Armenians are fortunate; they will have some assistance from the ethnic kin state of Armenia, and they will have citizenship. Lebanon, the closest approximation to an ethnic kin state that the Arabic Speaking Christians of Syria have, is a much harder place. A colossal French error of judgment combined with Maronite hubris resulted in the creation of a Lebanese state without a secure Christian majority; now is the moment to correct that error. 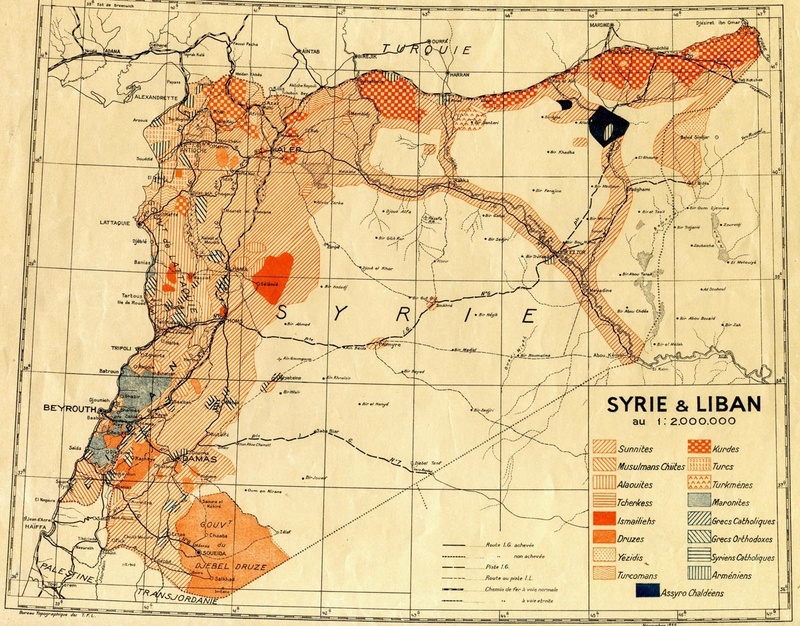 The peoples of the former French colony of Syria could be given justice, citizenship, and an opportunity to create the kind of state that enjoys the rule of law and even economic opportunity if the international community seized this moment to support the creation of a series of ethnic nation states, a small Alawite state, a Christian, Arabic speaking Lebanon, Kurdistan, and a Sunni dominated Syria. Each of these fledgling states would have a demos, a people with sufficient cultural unity to have a chance at producing decent government. The Twelver Shia who created the Iranian-backed rogue state of Hezbollah in south Lebanon could be exchanged for the Christians who have already been expelled from Iraq. This would replicate the 1923 Treaty of Lausanne in which over a million Greeks who had already been expelled from the new Turkish state were given a measure of rough justice by the League of Nations when a few hundred thousand Muslims were legally required to leave Greece (and the remnant of the Greek Christians to leave Anatolia). The idea was that the Greek Christians who had been brutally “cleansed” from their ancient Anatolian homeland could at least have the homes and farms of Muslims. The poverty and human suffering was appalling, and Greece has not made a particularly good job of self-government. But, and this is an important but, except in Cyprus (exempted from the population exchange because it was a British naval base) the Greek-Turkish population exchange meant that for the first time in over half a millennium Turks stopped massacring Greek Christians. Nor has there been a Greco-Turkish war since 1923. Population separation; because it’s time to think about a solution capable of producing peace.